Sheffield United capitulated in dramatic fashion at Villa Park last night, chucking away a three goal lead to come away with nothing but a point to show for their efforts. Despite being 3-0 up thanks to a hat-trick from Billy Sharp, the Blades allowed Villa back into the game in the space of the last ten minutes, where Villa hit three in quick succession to steal what looked like a very unlikely point. Two of the goals were down to mistakes from Sheffield United goalkeeper Dean Henderson, who failed to collect a corner and then aimlessly parried straight to Tammy Abraham for the Villans’ second of the night. But should Henderson be feeling too down after the showing, or should be really just be moving on and be happy with his overall contribution this term? We think the latter. 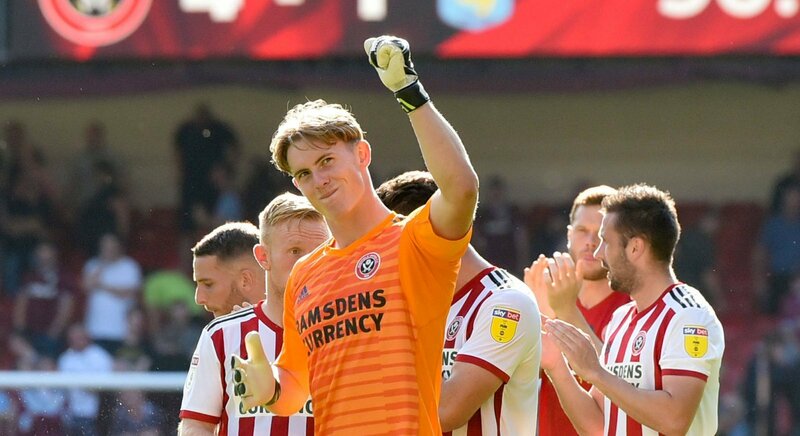 The Man United loanee has been superb for the Blades this term, but the mistakes he has made have seemingly cost his team in big moments, as evidenced last night and also during the game with Leeds at Bramall Lane earlier in the campaign. Henderson though should not be too downhearted. Too many times this season we have seen him bail out his defence with quality saves, saves which have ultimately won his team points when on another day they might have left with nothing. He is also a young, confident goalkeeper who is still learning his craft, and he is always going to have moments like this in his career. Henders is a class act, and he will move on and learn from his ways there is no doubt. He remains integral to the Blades, and if they are to have success, then Henderson can give himself a big pat on the back having played a huge part in that. Blades fans, what do you think? Will Henderson bounce back? Let us know!